The Falcon family represents fifty years of success. Over 2,250 aircraft have been delivered in more than 80 countries; logging more than 16 million flight hours. In addition to the impressive flight qualities associated to an exceptional comfort, the “Falcon” name is synonymous of reliability and efficiency. The Falcons are not only used for passenger transportation. When equipped with specific systems, their performance, flexibility and robustness enable them to accomplish a wide variety of military as well as public service missions. Nearly 10% of the Falcon aircraft are used by military or governmental services. The Falcon fleet counts over 200 multirole aircraft used for various missions. These aircraft have brought to their operators a very high level of efficiency, reliability and maintainability, whether for civilian or military missions’ purposes. In order to respond to changing needs for blue water operations as well as coastal and border surveillance, spin-off versions of the Falcon 2000 and the Falcon 900 business jets have been designed. 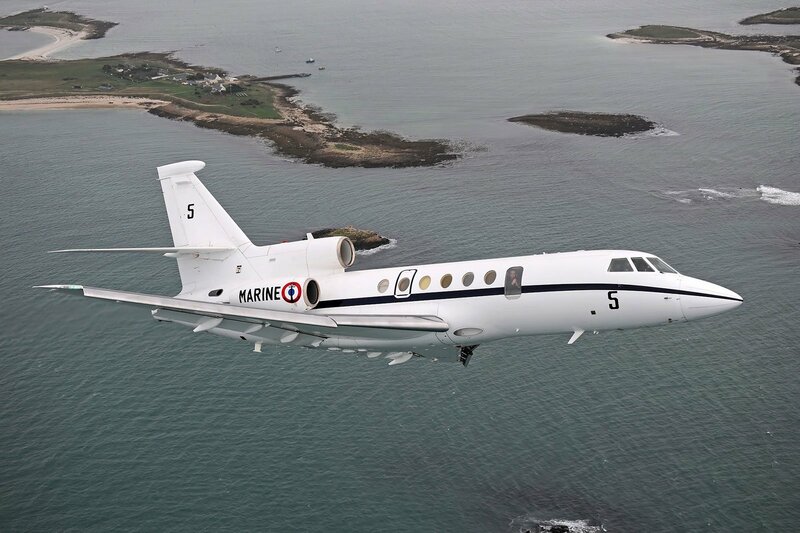 This new cost-efficient multi-role aircraft family of Falcons has been built on the expertise and feedback experience gained by Dassault Aviation on previous maritime programs such as the Atlantique 2, Falcon 20 / 200 and Falcon 50M.